Instead of providing an itemized list of the equipment needed to make homemade wine a pictorial list has been provided to enable the new homemade wine maker to be more familiar with the equipment. These examples are just some of the equipment available for making homemade wine. The amount of wine being made and whether grapes or juice are used will determine the wine making equipment that will be needed. I now have five Demijohns, an iris jaw floor corker, a filtering machine, an automatic bottle filler, syphon tubing, a bottle drying tree stand and of course bottles. However, I did not start out with all the equipment to make homemade wine. In the beginning I had one Demijohn and syphon tubing. Since there would be months before I would need the bottle drying tree stand and bottles, I purchased them later. I was able to borrow a filtering machine and corker. If you are not able to borrow these you may be able to rent them. 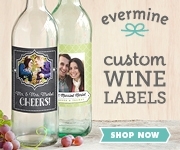 My point here is that you do not have to buy every thing all at once to make homemade wine. Start out with the basics and add the other items gradually. A powerful floor corker that makes short work out of corking homemade wine. Quick and easy filling of wine bottles. Filter system for filtering 5 or 50 gallons. The wine press and grape crusher will only be needed if if you are making homemade wine frome grapes.